There are times, even on Google, when you just can’t find what you are searching for. The search results just doesn’t come out “right”, what you want just wasn’t there. How you wish you could do something extra…to get better search result. Well today must be your lucky day, because I’m going to tell you that extra something, 10 tips for better Google searching. Hopefully these tips will give more relevance to the search results you get. The next time you Google search, instead of entering only your keywords in the search box, try the tips below. Let’s start out by finding out the name of that fruit in the picture, try Google search spiky fruit. Define:[keyword] operator provides definitions for words, phrases, and acronyms from the Web. For example define:durian will get you a list of durian definitions. [keyword] filetype:[filetype extension]. find documents of the specified type, as in durian filetype:pdf. Google Image search, you can narrow down the images according to Size, Color and content type whether its News, Faces, Clip art, Line drawing or Photo. 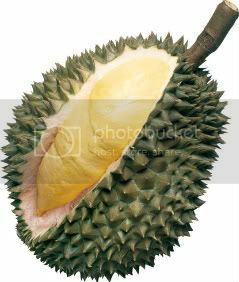 Now let’s do image search of durian. To look for glossaries, as well as dictionaries, lists of terms, terminology, etc. use tilde(~) before keyword, as in ~durian. To look for exact phrases, put them in quotes as in “heavenly durian” or “durian stinks” . Enough about durian. To show all webpages in a website or domain, use site:[domain] operator, as in site:www.tourismmalaysia.gov.my. You can use this method to check whether or not all of your pages are indexed by Google. To search inside a specific website, just add the keyword before site: operator, as in kelantan site:www.tourismmalaysia.gov.my. To display Google's cached version of a web page use cache: operator, as in cache:http://www.bloggersentral.com/2009/04/keeping-your-widgets-when-changing.html. This is especially useful if you want to recover deleted pages. To show webpages that link to a site use link: as in link:www.tourismmalaysia.gov.my. To exclude certain keyword from result pages use [keyword] –[excluded keyword], as in Barack –Obama. You are welcomed to share your Google search tips here. Use the comments. 8 comments to "10 tips for improving Google search results"
These are very useful tips, that, for me at least, worked. Everyone claims success from his blog but not all know what they need to aquire it. This type of posts is vry helpful for those planning to create their own blog. Hats off to you!! Very nice and effective attempt!